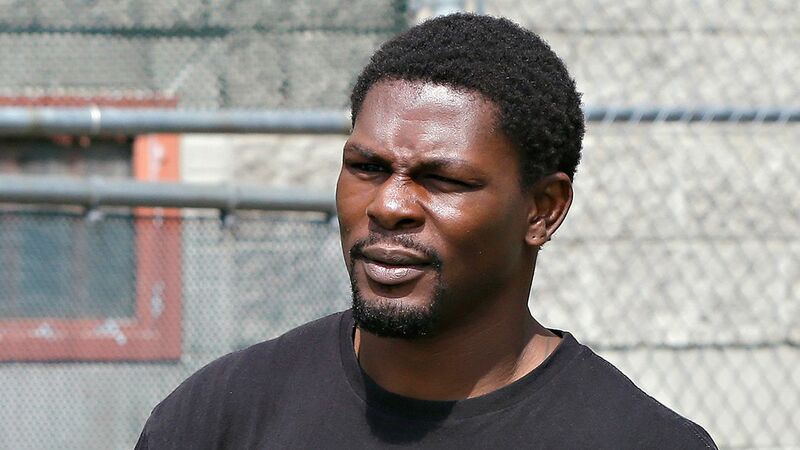 Former middleweight boxing champion Jermain Taylor was arrested Wednesday in Little Rock, Arkansas, after another alleged domestic violence incident in which he is said to have threatened to kill a woman. According to a police report, Taylor, 40, allegedly punched a woman and held a knife to her throat. He was arrested at his home at 3:25 p.m. and was booked in Pulaski County jail on charges of third-degree domestic battery and aggravated assault on a family or household member. Earlier this month, Arkansas prosecutors dropped domestic violence charges against Taylor when his accuser halted contact with authorities. Those charges stemmed from a July 2017 arrest after a woman alleged Taylor bit her on the arm and face and threatened to kill her. Taylor in 2016 was given concurrent six-year suspended sentences for three separate incidents in 2014 and 2015, after he pleaded guilty to six counts of aggravated assault, two counts of terroristic threatening and a second-degree battery charge. Taylor won a bronze medal at the 2000 Olympics and is a two-time IBF middleweight champion.